Local runners competed in the 2014 Cross Country Coaches Youth National Championships in Nashville, Tennessee. 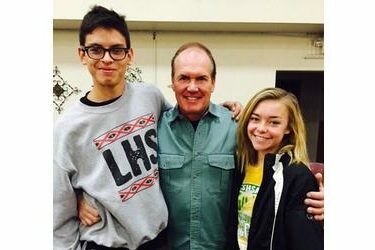 Senior Obed Quintana and sophomore Camryn Slatten’s success throughout the season earned them a spot on the Brocaw Blazers cross country team out of Kansas City. Quintana ran in the 17-18 boys division, and Slatten competed in the 15-16 girls division. Slatten was competing in her 3rd National Race and the experience helped her run well. Slatten completed the 5K course in 20:58 giving her an All-American finish in 19th place. “Running the National meets has made it easier to compete in larger races, and has allowed me to meet some great runners around the country” said Slatten. Quintna competed in his third consecutive race as well. Quintana had a rough day running through pain in his chest, making it hard for him to breathe. Quintana finished in 46th place with a time of 18:58. The Brocaw Blazers brought home 7 team national championships including the age groups of the 15-16 girls, 15-16 boys, 17-18 girls, 17-18 boys, 6-8 boys, 11-12 girls, and the 13-14 boys.